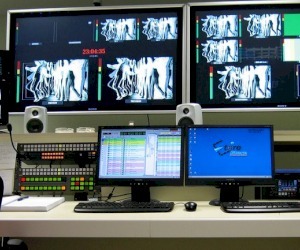 MTV Greece, is the first HD TV station in Greece. 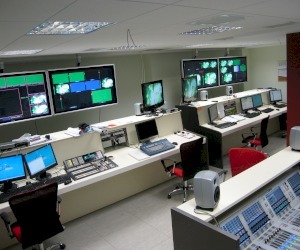 It includes one continuity channel (HD+SD) and a fully equipped HD TV studio. The baseband system is based on EVERTZ (SPG, ROUTERS, MCS, INTERFACES, MULTIVIEWERS). Vision mixer is by FOR.A, the virtual set from BRAINSTORM, the cameras by HITACHI, the video servers by SEACHANGE with ETERE automation. The sound mixer is by SOUNDCRAFT.